The following are some of our current listings. We have more listings that are not published on our site, so please feel free to contact us to see if we have a horse for you. We work to try to ensure the Best Fit for the sale of these horses. This webpage launched in February 2008. See complete listing of horses below. I keep a "Quiet List" of horses for sale from clients who do not want their horses listed publicly. At this time, our "quiet list" is just as long as our public listings. So if you don't see what you are looking for, please feel free to email me. PLEASE Do Not contact owners of horses directly. My clients have hired a broker to avoid the time consuming process of selling horses. As a broker I have the information you need. And when all your questions are answered and you are ready to try or buy a listing, then I will put you in contact with the correct party. These kind are hard to find. Fast enough to run the best times, and tough enough to stand up and work through rodeo conditions and stay sound doing it. And he's still young. You'll search high and low for these qualities so they aren't cheap. He has run two 16.9's in different arenas. He places in the 1D 88% of the time and WINS the 1D at 44% of the jackpots! He won or placed at 21 rodeos over the last six months of his FIRST rodeo season and made the Circuit Finals and a tough Amateur Finals. He's more of a push style horse, but not a barrel hitter. He runs the same indoors and outdoors and ground conditions don't matter to him. His attitude is just like his running style, tough, gritty and all business. 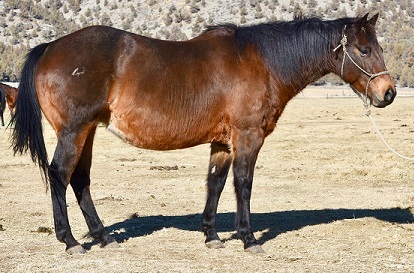 This gelding has never been injured and only injected a couple times over his life, and never for lameness. He is not a bleeder, has never coliced, and does not run on any drugs or fancy pre-race pastes. He runs and wins on 100% heart and grit. By Webb Ranches, FIRST DOWN DEVIL, who's first crop are 100% money earners. His dam TINYS EFFORT (Special Effort x Tinys Gay) was the dam of 7 offspring and all Race ROM, with earnings over $1 mill, and 4 of whom have 105 SI or higher. Real mare power! Her dam, is Harlan, Leo and Double Bid. She throws great minds, kind demeanor, and a real willingness to please. This fillies 4 yr old sibling ran 17 on std recently and really loves his job. This filly will be the same way. She is very well built, and can mortally fly around the pasture and can really bust a move! UPDATE: Now started and looks and feels just as good as we knew she would! PAID IN FULL TO FUTURE FORTUNES! “Zion” has five months training with Lyndee Stairs. He is well broke, long strided, smooth and relaxed under saddle. He is fun to ride and ready to start on the pattern. On track for the 2020 futurities and is paid in full to Future Fortunes. 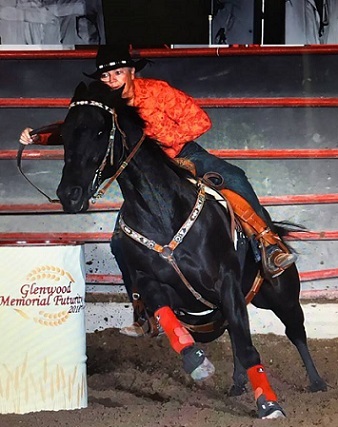 SIRE: JL Dash ta Heaven,offspring have earnings of $1.6 million from only 72 runners, including Hell On The Red (fastest time of the 2018 NFR) and Heavenly Firewater (IFR Champion & Reserve Champion at the RFD-TV American 2019). 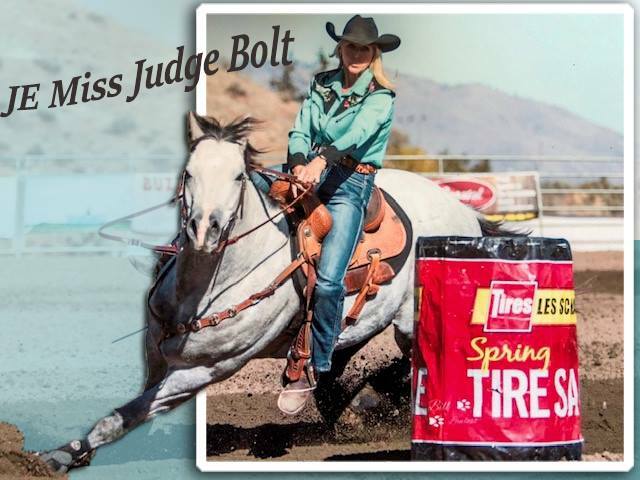 DAM: Views Reck produced Reckless Jones: 2018 Columbia River Circuit Finals fast time; All-In Barrel Race(Las Vegas) Champion; American Qualifier, arena record holder. ** Full vet check with radiographs done in September. "Big" is a gentle giant with a long stride and a big heart. He's that horse that you can loan out and he'll go win for most people that swing a leg over him. He placed at one of the biggest Derby's in the NW this year with a rider who had never run him before. He was also loaned to a college rodeo girl, who placed 3rd in her college rodeo, having never run him before. He runs1D times 80% of the time, and the rest of the time is in the 2D money (according to Equistat). His fastest time on a standard so far is a 17.22, and he's run several 17.3's & 4's. He has won a jackpot by 4 tenths. And he has been used as a backup to a super rodeo horse, but Big has all the ability to be someone's #1 Rodeo horse. Click the link for all the details. This is the best filly in the crop and has been handled regularly since birth. She leads, ties, ponies, and is put on the hot walker weekly. She has a great mind and movement. This one is a top prospect. Her Sire, Vanila Viper is by the #1 Sire Dash Ta Fame, and out of Barrel Racing Triple Crown winner, SX Frenchmans Vanila (LTE $230,000). Viper is a full brother to Dash Ta Vanila, LTE $117k & NFR Qualifier, and Vanilas Sudden Fame LTE $101k. This fillies dam has race earnings over $27k, and is a daughter of Mr Jess Perry, the #1 Broodmare sire in racing for the last 4 yrs. Eligible for: BBR Select Stallion Stakes, Colorado Classic, Cowboy State, Southwest Desert Classic, & Vista Equine Colorado Breeders Futurity. Frenchmans Guy, Mulberry Canyon Moon and Mr Jess Perry! WOW! The FG x Mr Jess Perry cross is really showing success & Popularity with Myers new stallion Mr Sassy Frenchmans. And then throw in Mulberry Canyon Moon which has crossed best on FG lines!! This colt has been handled regularly since birth. Leads, ties, is ponied regularly and been on the hot walker. 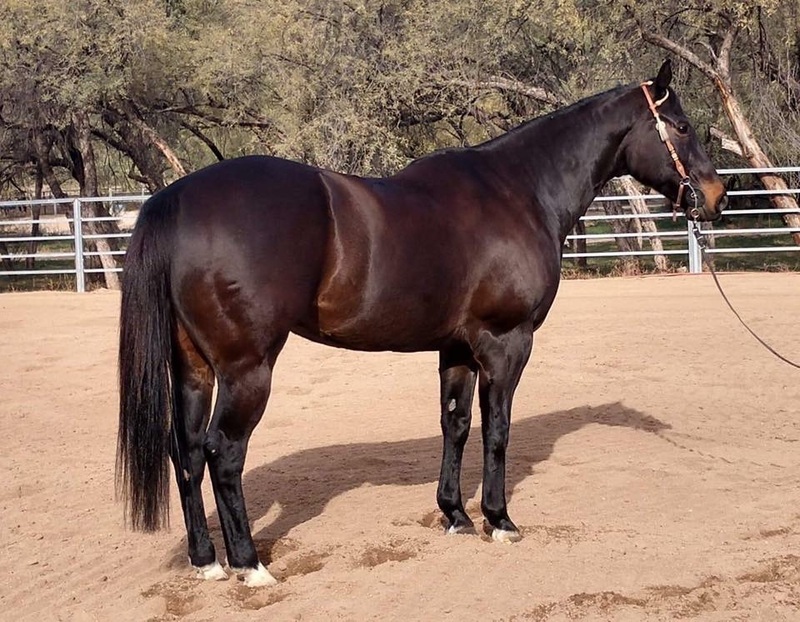 His Sire, GUYS CANYON MOON, by the decades #1 leading living sire, "Frenchmans Guy" with progeny earnings over $10 million, and out of "Mulberry Canyon Moon" LTE $400,000+, and 3x NFR go-round winner. Her foals have LTE over $330,000, including:MC ImaSharpGuy, OverTheMoonForAGuy and SR Industry Titan. His Dam has race earnings over $27k, and is a daughter of Mr Jess Perry, the #1 Broodmare sire in racing for the last 4 yrs. Ride The Boogie has been handled regularly. He leads, ties, ponies, and gets put on the hot walker weekly. This colt will have the best speed in the arena! :His Sire, FreightTrain B, SI 115, Stakes Winner with LTE $420k. He is #2 Leading First Crop Sire of 2015. Offspring have over $4.3Million LTE with just 4 crops to run. His sire, PYC Paint Your Wagon, SI107 is a Stakes winner with earnings over $880k. His offspring have earned over $29 Million, and he's sired over 100 Stakes Winners to date. 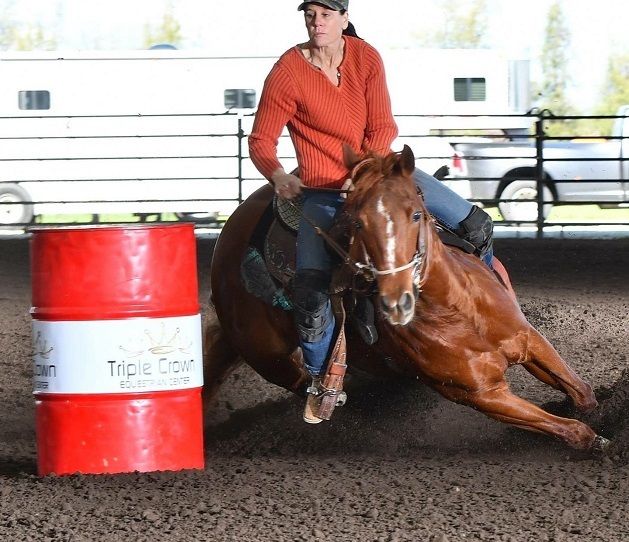 His offspring and grandget are also racking up the earnings in the barrel racing arena. This colts Dam, Caravella N Smoke SI 88, Race winner at 2, LTE $10k+, Cherry Creek Futurity (R) (G3) Finalist. Her sire, Shazoom SI 102, LTE $178k+ is the sire of earners over $24 Million. As a broodmare sire, his daughters have produced 37 stakes winners. His Second Dam, SMOKIN CORONA SI 108, by Corona Cartel, LTE $85k is dam earners over $350k. Nellie has been running barrels for a year and clocks in the 2D locally and 3D-4D at bigger events based on the caliber of competition. She runs consistent and is a push style horse who has room to improve her times. Fastest time on standard is 17.9 so far. Runs low 17's on short score standards (like Naches or Davenport, Deer Park). No gate issues, no health issues, no maintenance, no special feed. Also lots of experience on cattle ranch for the last 10 months. Loves cattle and ranching. Started heeling steers in the arena and out of the box. Would make a breakaway horse as well. And patterned on the poles and ready to add speed. 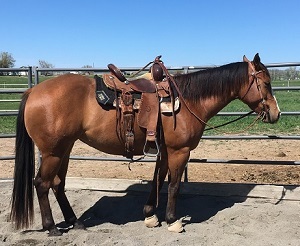 Nice prospect for an all-around high school rodeo horse. Probably not suitable for a little kid or true beginner. She is quick. 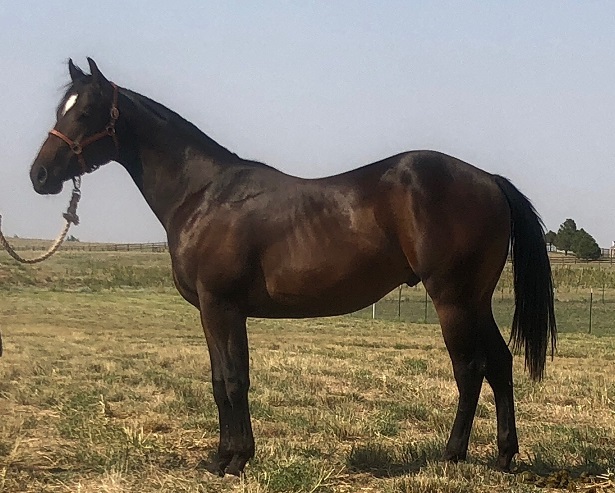 Sired by Guys Pocket Coin, a 1D producing son of Frenchmans Guy and out of the great producing mare Queens Coin (producer of over $350k barrel earners). Her dam is an own daughter of Special Leader. 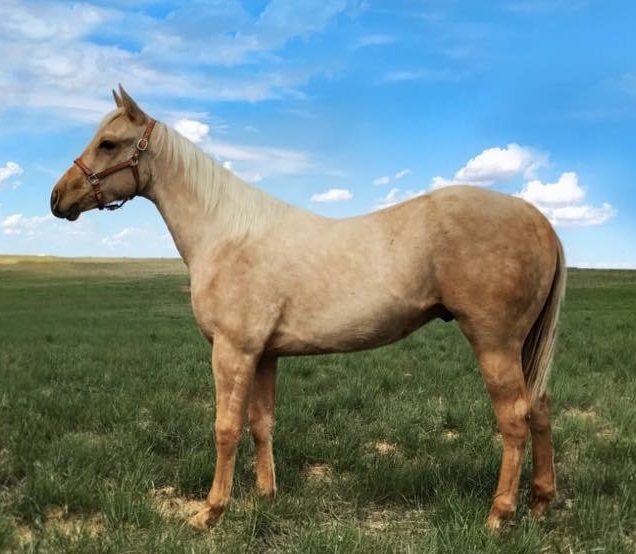 She is a futurity prospect for 2019. She is patterned on the barrels and has started to haul to a few time-onlies now. She should be ready to Futurity by March, but you could start entering races now. She is 15 hands and stout! Super kind with a laid back attitude, but she can RUN!!!!! Eligible for (paid): Future Fortunes, SSS, BRN4D and PESI. Fancy cowbred mare that is SUPER broke and places at CCPRA rodeos in California. She can run 1D at jackpots too, but she's made for rodeo. She is quiet, sensible and is really good on bad ground. Count on her in the worst conditions. She has the right training, temperament and intelligence to stay solid for the grind of the rodeos. She comes from a cowhorse program and is more broke than most barrel horses but not so sensitive that she'd make errors on missed cues. You run her in tight and she turns tight and balanced. She's 15 hands, 1140 lbs and gorgeously built. She is kind, gentle, safe and hauls great. She would make an EXCELLENT High school or College rodeo mare. We had a teen rider jump ride her recently and the mare waited for her and did just what she was supposed to. She is a hard working, quick footed, gritty mare. She's young, solid and sound, so she will last long term. And she gives her all so you don't have to whip on her or be overly aggressive. Just sit up and be a rider. Sired by Judge Cash, who's offspring have earned over $1 million, three NFR Qualifiers, and an AQHA/WPRA Barrel Racing Horse Of the Year. This foals are versatile, and have amazing suspension and extension in their movement. Most people who have a Judge, own more than one. They are athletic, intelligent and giving. 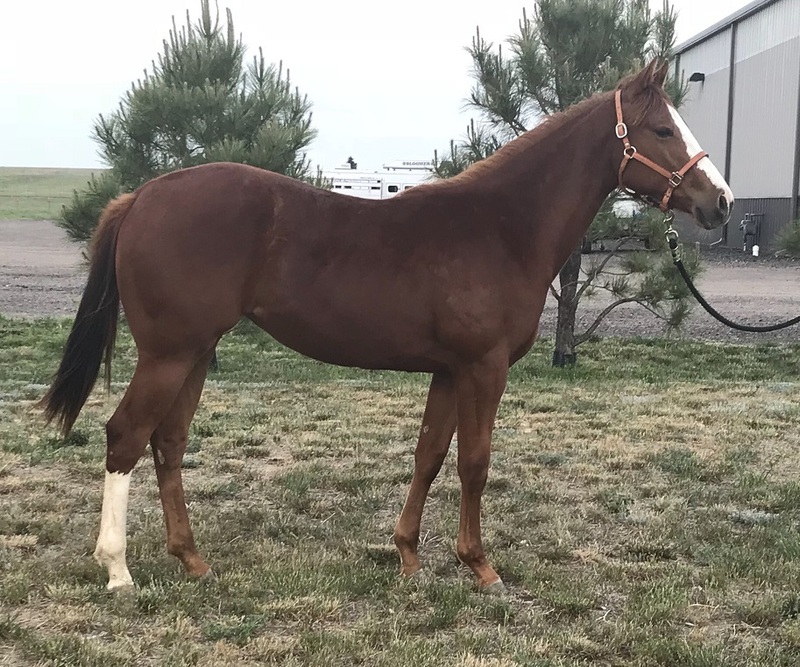 This fillies dam is by SMOKUMS PRIZE, who is NRCHA World Champion Snaffle Bit Futurity Open Champion, as well as Equistats All Time Leading Reined Cowhorse with LTE $212K. This fillies second dam is a daughter of High Brow Cat!!! This should be an amazing cross on Judge Cash!! She ties and leads. Good for trimming. Current on shots, wormer, trimming. "Mary" is sired by Sir Austin Dollars Si 82, by Sir Austin Duncan, sire to Danyelle Campbell’s great NFR horse 'Up the Middle' These horses can mortally fly! 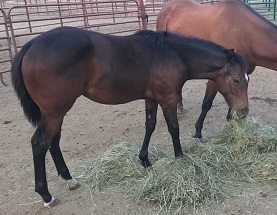 Mary's dam is a granddaughter of Shining Spark and Specail Elan (by Special Effort) which has really come through in her trainability and relaxed frame of mind. Well started by Cody Quillan, and has additional riding with the owner. She has a soft mouth, soft sides, great stop and is willing and responsive to training. She's the kind of horse that most anyone with a little experience could go on with. She doesn't spook, buck, or act quirky. She is relaxed, willing, kind and has that desire to please. She is not yet started on the pattern. so she’s perfect for someone who wants to train one themselves and feel safe. She has been hauled and tied to the trailer at races with no issue. She is patient and laid back. She is totally sound, straight-legged and has never had any issues with her health or soundness. Sired by the great JUDGE CASH (now deceased). Judge Cash sired barrel racing earners over $1.3 million and racetrack earners of more than $1 million. He held a speed index of 110 and earned $115,936 on the track as a performer, highlighted by running as a 2-year-old in the prestigious All-American Futurity. He has produced multiple winners including 3 NFR horses. 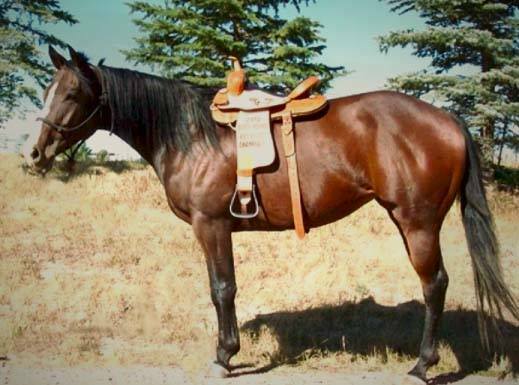 And as a sire his daughter produced the ALL TIME leading barrel horse, An Okie With Cash (Louie). Fillies out of Judge Cash are becoming a hot commodity as people begin thinking about the future. Her dam, Wrangler Chris carries bloodlines of The Signature, First Down Dash, Azure Te and foundation. 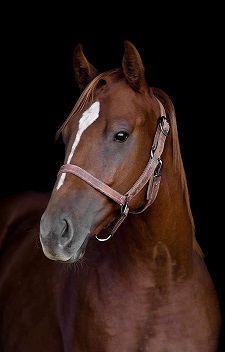 "Charmer" is a gorgeous mare by Frenchmans Easy Doc. She is super broke, with a great mind and NO issues. Runs mid 17's. Went to the NHSRA Finals, and placing at College Rodeos too. Runs 1D at most races, sometimes 2D at the bigger races with 300+ entries. She is super solid and makes a smooth, consistent pattern. She has not had her legs runs off, and is solid built to last a long time. No gate issues. No maintenance. She has also been started roping. Has a strong motor but is not out of control. She would be fine for an experienced youth, but has what it takes to win at at the higher levels too. She is solid, and remains a consistent horse every weekend. No tricks to running this mare. Located in AZ currently but will be in WA in the summer. 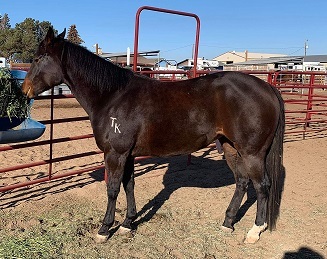 By A Smooth Guy and out of a Dash Ta Fame daughter that is a proven producer over and over with Futurity winners, Derby winners, multiple 1D winners, Rodeo money earner, and Arena record holder. "Wick" is well built and very well broke. Was never rushed to make a 4yr old futurity horse, all intentions were to do things right and run as a 5yr old. She is started on the pattern and circle drills. She is showing natural rate, and really reaches up with her hind end. Being hauled around for exposure. Never been injured nor lame. Lives in a group of horses on pasture, but has been in the barn in bad weather too. ELIGIBILITIES: Pink Buckle (pd), Future Fortunes (pd), VGBRA,TC100, ,PESI, BRIF 5-States,Grid Iron, Cowboy State,Cornhuskers, Colorado Classic, and more! Bugs runs 1D-2D times against tough California competition and she's just starting her career. She has been great since day one. She has a cowhorse style, and just runs to the rim of the barrel and runs around them. I could see this mare just getting better and better. She's easy to run. No nonsense at the gate. No lasix or bleeding issues. No special sauce needed. She's suitable for an intermediate youth rider or up. She knows the poles too, and although they haven't put her on a clock in the poles yet, she's the right kind! Only for sale due to owner wanting to promote a young stud. "Bombshell" is a true 1D prospect. The training is done and she is loping a really nice pattern with no holes. She moves so smooth and is fancy broke. Ready to add speed. Being hauled to exhibitions and handling it great. Could be futurity ready by in a few months. I've sold two horses from this owner, and the buyers have been very happy with them. She's also started heading and shows lots of cow. 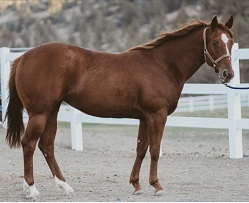 Futurity eligible and eligible for the RGR Incentive in Utah for horses from RGR running at the Salina Super Show. All of this fillies siblings are 1D horses. There's no doubt this mare will be good! She also has had a vet check and was 100% sound. Push style horse who's easy to run. Same pattern each time. She rarely hits barrels. Honest and doesn't shoulder the turns. She runs whatever speed the rider is asking. Running 17.8-17.9 currently, in rodeo ground. Went to 9 Pro-West Rodeos in 2018.She is taking to the rodeo life easy, and will just gain more confidence the more you go. She runs 1D locally, 2D at Regional events, and some 3D against the best horses in the world. No gate issues, No hauling issues. No history of bleeding (EIPH), no ulcers, no allergies, etc. This mare is an absolute pleasure to own and run. Well broke, easy going and mellow. Lots of experienced being ridden and has also roped the roping sled. She got her first set of injections in 2018. She is fed a low carb diet (alfalfa and Hay Stack grain) and should remain on that. "Muddy Girl" runs 1D-2D barrels locally and runs 3D at Super Shows (like the All-In Barrel Race in Las Vegas). She has competed in North Dakota, Texas, New Mexico, California, and Minnesota. She was the North Dakota UBRA 1D Reserve Champion in 2017 and BBRA 1D Open Champion in 2018. Went to some NMRA Rodeo (New Mexico Rodeo Assoc) and placed in the top 5. Has made lots of pole runs in the 22-23 range, and won the 2D pole year end buckle for CGRA. Prior owner also did goats and some roping back in 2011 and prior. She has done parades, trail rides, ridden at the ocean, in traffic, in the mountains and been to gymkhanas. Would be great for experienced youth. She has gotten hock injections since 2014 as needed and eats a simple low startch diet which she should be kept on. Will be located in Sweet Home, Oregon after April 1st. "Dually" runs 1D/2D over 80% of the time, at various arenas in Washington. 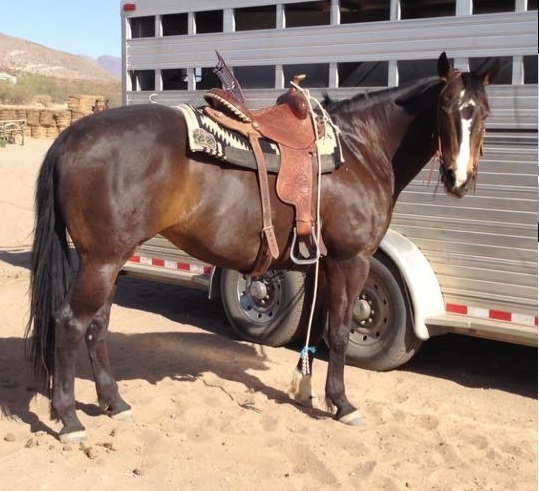 He's a push style horse with natural rate, but doesn't cheat or shoulder the barrels. He has NO issues. He does NOT bleed, crib, tie-up, or act quirky. Runs on NO drugs and has had no need for injections or maintenance. Also patterned on poles. And has been used for breakaway and heeling at home in the practice pen. Would be great for an experienced youth. Back from winter break and placing in the 1D-2D right off the bat. His average times on the limited standard patterns he runs at (Stewarts Arena, Strobels Arena, Baileys Barrel Bonanza) have been 17.8-18.0. These are 1D-2D times in these arenas. He is only 14 hands but stout. Body of a big horse on short legs. Amateur/College/High School Rodeo! She wins rodeos in Barrels and Breakaway. Also competitive in Heading, heeling and goats. She runs a consistent pattern and usually in the 1D or top 2D at the big 4D races, against tough horses. Placed or won at mutliple NPRA Rodeos & College Rodeos in Grand Canyon Region. Runs mid to high 17's on a standard pattern in rodeo arenas. SOLID breakaway horse with many 2's on her resume. She is a level headed, honest mare and makes the same run every time in every event no matter the circumstances. She is so solid you can run barrels and breakaway in a halter and head on her with no bridle! And also been used for Goats. Horses like her don't come around often, she's the whole package! Daughter of Frenchmans Fast Cash, that's finished in barrels and poles, and also had 3 months start in the breakaway. Runs 1D-2D in Washington. Times on standard patterns so far are 17.6-17.9. She ran poles competitively with prior owner in the 21-22 second range. 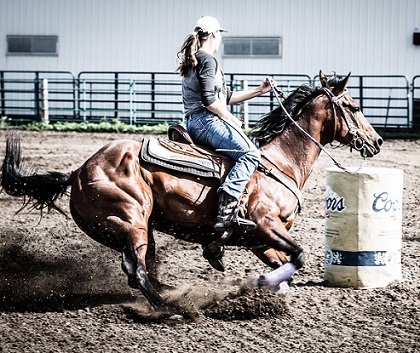 She has some rodeo experience and just placed 3rd at the Open Rodeo in Roseberg OR in March 2019. 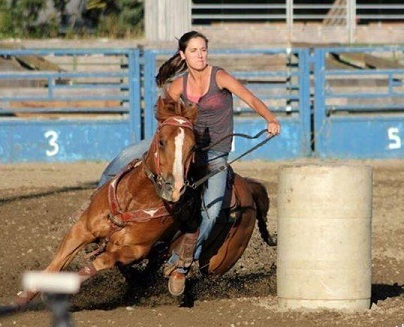 She also tipped a barrel to win a Washington High School Rodeo last fall. She is sound without any drugs or maintenance, has had no injuries, does not bleed, and eats a simple feed program. She is experienced riding out on the trails all throughout Washington, Wyoming and Montana. She would be well suited for an experienced youth rider as well. Could have great success in high school or college rodeo as well.